Our original series, Kids vs Life, has captured childrens’ imaginations worldwide since 2014. The concept for these stories is ‘modern day fairytales’ – answering kids tricky ‘why’ questions about life in a fun and humorous way that both kids and parents will enjoy. Don’t miss out on this fun learning experience for your kids. 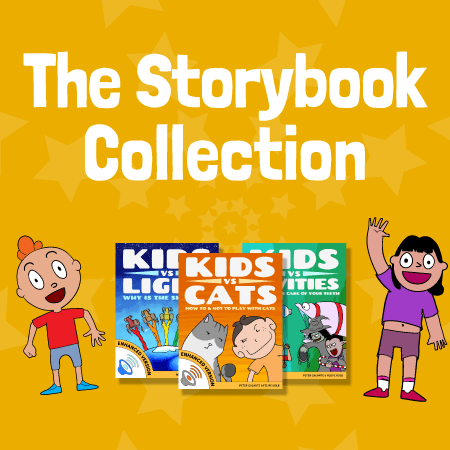 Download our Storybook Collection now!